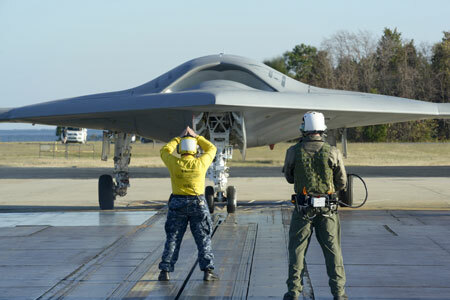 The US Navy is testing a stealth drone set to be the world's first unmanned, robot aircraft piloted by artificial intelligence rather than a remote human operator. 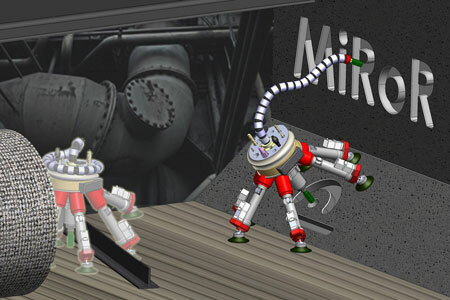 The MiRoR European project was set up to create a miniaturised robot capable of carrying out repair and maintenance tasks in an autonomous manner and in inaccessible environments. 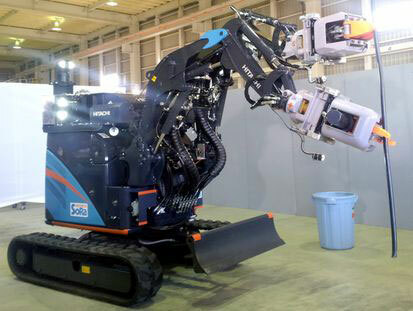 Hitachi Ltd. has developed a remote-control robot that can perform heavy lifting tasks and assist in recovery work at the crippled Fukushima No. 1 nuclear power plant. Robotics is now a highly articulated field with various types of robots already assisting numerous areas of human activity. Despite their increasing significance and relevance, the general public tends to think that robots still belong to the world of science fiction and research laboratories. 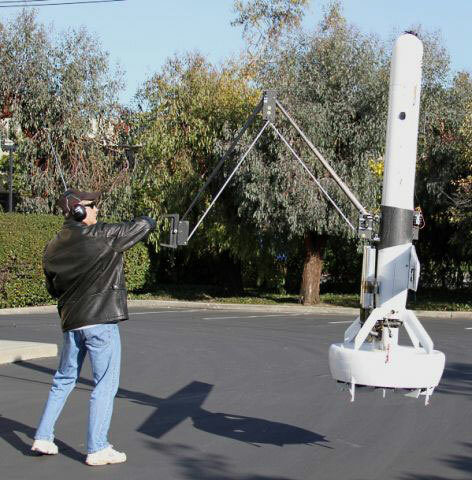 DARPA-funded effort demonstrates precise autonomous payload placement with UAV. 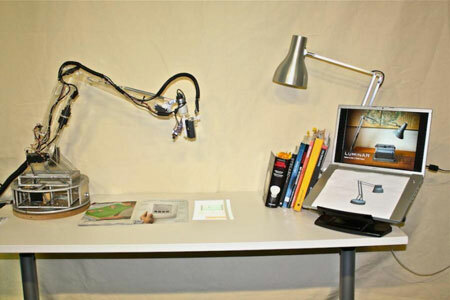 A project from MIT Media Lab reinvents the traditional incandescent bulb and desk lamp, evolving them into a new category of robotic, digital information devices. 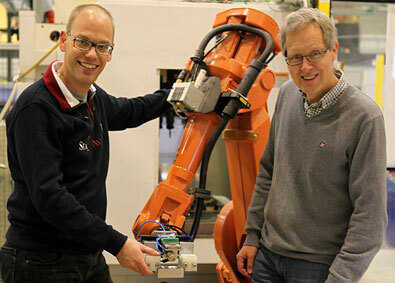 Imagine a human-like robot with skin and clothes embedded with sensors that could help machine accurately perceive the environment and better assist human owners. 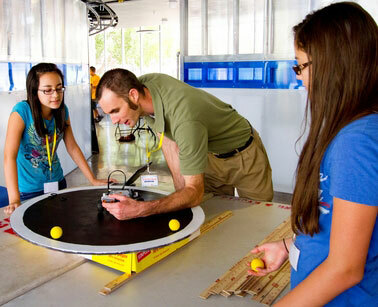 Such 'smart' robots are at the heart of a new $1.35 million National Science Foundation project. 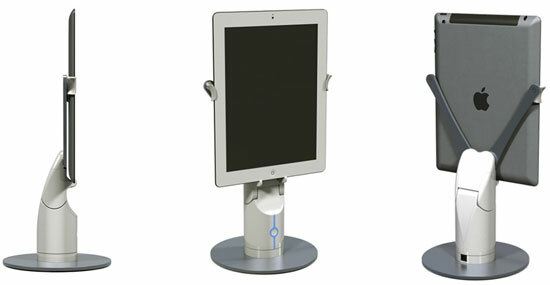 Revolve Robotics has introduced Kubi, an easy-to-use robotic platform designed to vastly improve the use of Facetime, Skype, and other video calling or telepresence applications on tablet computers such as the iPad. Japan-based Brave Robotics has designed a 1/12-scale RC car that can transform into a humanoid robot. 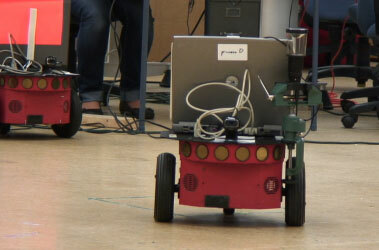 It can shuffle around, grab footage with its Wi-Fi camera, and even fire little missiles from its arms. CyPhy Works, an innovative new robotics company, has unveiled two revolutionary small Unmanned Air Vehicles (UAVs): EASE and PARC. 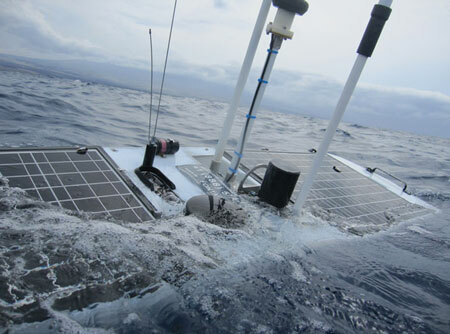 The first Pacific Crossing (PacX ) Wave Glider, Papa Mau, completes its 9,000 nautical mile (16,668 kilometers) scientific journey across the Pacific Ocean to set a new world record for the longest distance traveled by an autonomous vehicle. 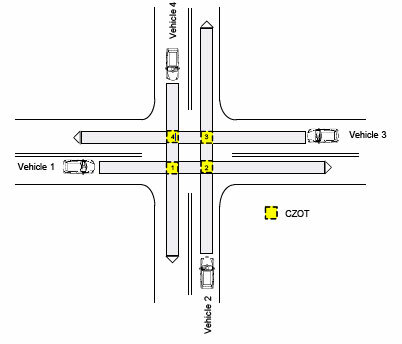 How do driverless vehicles navigate through intersections? 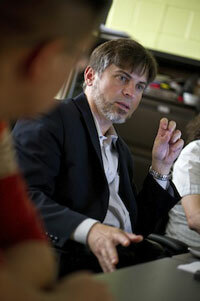 Faster and safer than if humans were in charge, according to researchers from the Virginia Tech Transportation Research. Using deceptive behavioral patterns of squirrels and birds, researchers at the Georgia Institute of Technology have developed robots that are able to deceive each other.